The first step in the treatment of raw water is to remove all of the pollutants and particles that we can in a process known as sedimentation. Sedimentation is a physical water treatment process that uses gravity to remove suspended solids from the water. 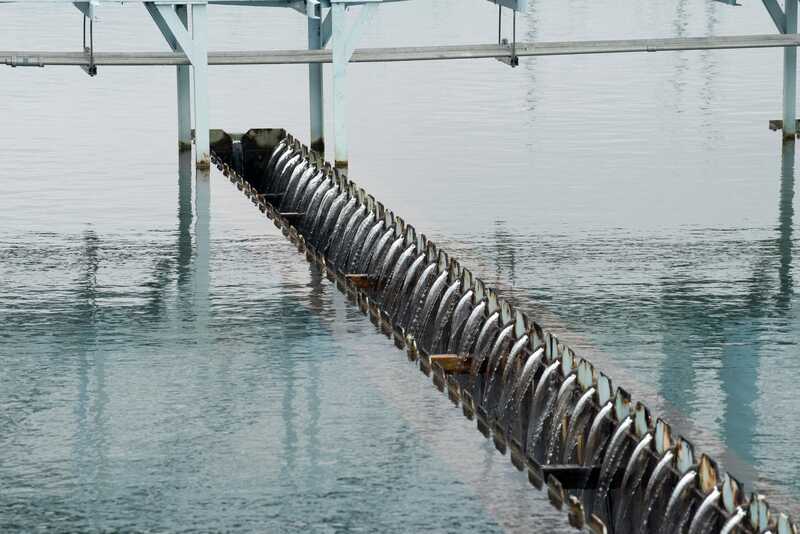 Typically we start by adding ferric sulfate to the water, which attaches to the very fine particles that make up the suspended solids in the raw water. Once attached, they begin to coagulate (or clump together). We call this coagulation. This moves us to the next step called flocculation. After the raw water has been coagulated, it is gently mixed by large mechanical paddles in our sedimentation basins. This causes the fine, light particles created during coagulation to combine into larger, denser particles that settle to the bottom of the sedimentation basin. 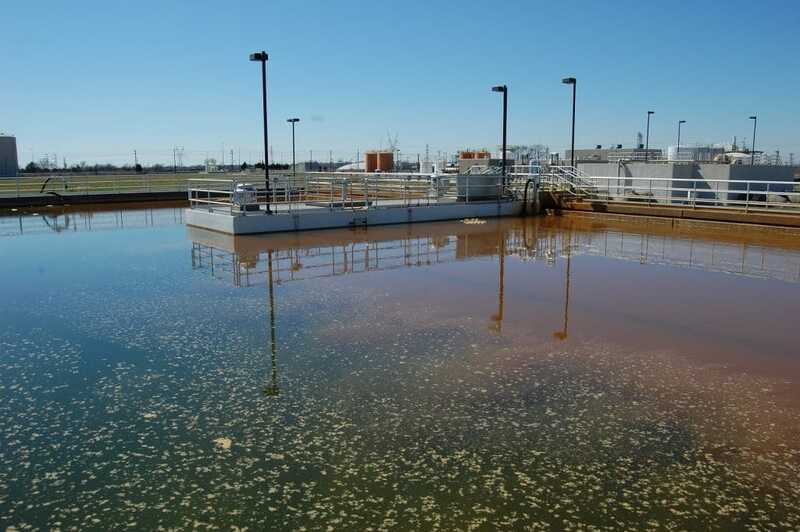 As the water travels through the basin and the heavier particles sink to the bottom, the clarified water at the top moves along in preparation for disinfection. The sludge left behind at the bottom of the basin is periodically removed and sent to a sludge lagoon where it will eventually be used as iron-rich soil.